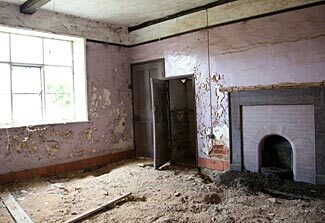 Perhaps a broken window that lets in wildlife and weather, six months of unattended decay, and your retreat might end up being like this when you arrive. So you finally find yourself confronted with the need to bug out to your retreat. The good news is at least you have a bug out location, and you’ve practiced and prepared for the eventuality of having to bug out, unlike most of your neighbors and friends. You load up your vehicle with everything you need to safely and successfully travel to your retreat, feeling confident and relaxed about having prepared prudently, and set forth. Because you’ve planned and even practiced this before, you’ve nothing to worry about, right? In this two-part article series we first look at the problems inevitably associated with bugging out, and then in the second part, consider how to address and solve these problems. It is true that you’re in a better position and have a better prospective future than your un-prepared friends, but your future is far from guaranteed. Until you get to your retreat, you are as vulnerable as anyone/everyone else – perhaps even more so as you are limited to only what you have in your vehicle – something that offers very little security or resource. You are now confronting a terrible number of unknowns and variables and risks where anything from random bad luck to more serious things may interfere with your journey to your retreat, your future plans and your future life. Let’s look at four sets of risks that may interfere with your optimistic expectations. This is probably a risk you’ve thought about already, but just because you’ve thought about it, that doesn’t mean you can protect against it. Clearly you need to bug out as early as possible, before the rule of law has totally collapsed, before the roads get jam-packed full of other evacuees from your city, and before modern-day ‘highwaymen’ start preying on travelers. Maybe you are successful at doing this, and manage to beat the rush out of your city, but what happens if you have to travel through other cities on the way to your retreat? It is one thing to beat everyone out of your city by (say) four hours, but if you need to pass through another city that is four hours driving from the start of your travels, you’ll have no headstart at all on the outflows of desperate people from the second city. Maybe you beat the rush by a day, but have a two-day drive to your retreat – you’ll be no better off than anyone else on the second day of your travels. How far is it from where you live to your retreat? Each mile that you must travel is 1760 yards of potential for a puncture, a radiator hose bursting, or any other sort of unexpected problem with your vehicle. Each mile that you travel is 5280 feet of risk from any type of unexpected ‘third party’ event – not just evil people doing evil things to you, but ‘innocent’ acts of bad luck such as a traffic accident, perhaps. Maybe you don’t get involved in an accident yourself, but maybe a semi some miles ahead of you on the freeway has jackknifed and is blocking the freeway, with traffic backed up for miles, and with hours of delay. Meanwhile you’re burning through your precious gas to keep the car warm (or cool) and you’re at risk of anything and everything in a stationary vehicle. Talking about weather, do you have any seasonal issues to be concerned about? Have forest fires ever closed the roads in the summer? What about snow in the winter? Remember that you don’t just need the highways to be ploughed and drivable, you need the last few miles of dirt road to your retreat to be passable too. How will you handle that, if it is an issue? If you’re in a vehicle visibly loaded with supplies (or, even worse and more conspicuously, towing a trailer), and if word has got out about whatever disaster it is you’re fleeing, you’ve become a tempting tasty target for evil-doers all the way along your route, haven’t you. Our feeling is that you need to be in an ‘ordinary’ vehicle with no visible amount of extra supplies in it. It isn’t just evil-doers you need to worry about. It is do-gooders too. Maybe the state’s governor has declared martial law and requires all people and vehicles to be off the road during hours of darkness. So instead of driving all day and all night to your retreat, you suddenly find yourself needing to pull over and anxiously/uncomfortably wait until the morning before you can continue your travels. Sure, we know that you drive many thousands of miles a year normally, and never have any sorts of problems at all. But this isn’t normal. This is anything but normal, and with Murphy’s Law waiting to trap you every possible way, the ‘simple’ act of getting to your retreat will be fraught with risk. Okay, we’ll say that you managed the drive to your retreat safely and successfully. Congratulations. 🙂 And now you’re driving up the driveway, and round the corner, there’s your retreat, ready and waiting to welcome you. What say someone else has decided to make your retreat into their retreat? What say you arrive to find it already occupied by people who could care less that you say it belongs to you. They’ve got the retreat, and they’ve got guns and are willing to use them if you don’t leave and abandon your claims to ‘their’ retreat. Or maybe you find your retreat looted, burned out, vandalized, abandoned, and unlivable. All your precious preps have disappeared. Now, please don’t tell us proudly about your ‘op-sec’ and how no-one knows about your retreat. That’s sadly not true, no matter what you might think and hope. We discuss the impossibility and the ill-advisedness of trying to keep your retreat secret in our two articles, ‘Is It Realistic to Expect Your Retreat Will Not Be Found‘ and ‘The Ugly Flip-sides of Opsec‘. Here’s an alarming thought. Maybe you hire a local person to protect your retreat, and to visit it once or twice a week to make sure it is safe and secure. But how do you know that he won’t then turn around and make your retreat into his retreat when things go bad? Let’s hope for the best, and assume you not only safely made it to your retreat, but that the retreat is still standing, secure, and unoccupied. Great. But your problems are not yet over. You unlock the main door and go in to the house. You are immediately overwhelmed with the smell of rat urine and feces. You go to your store rooms and find that you’ve a happy thriving colony of rats, enjoying your supplies, with little or nothing left for you to now survive on. Or maybe you discover that a pipe burst in the last freeze, and you’ve got water damage throughout the house. Or maybe some tiles blew off the roof and you’ve had rain and other things coming in through the roof. Maybe all those things work fine, but you go to flush the toilet and you discover it is blocked. You don’t know it, but some time over the last year, a tree’s roots broke through the pipe to your septic tank, blocking the flow of water and, ahem, other stuff, and you’re going to have to somehow troubleshoot your problem and fix it. Maybe you discover that your fuel tanks have rusted through and all your fuel has seeped away, leaving you with empty tanks and polluted ground. Maybe everything works well, but after a week or two, you discover that there’s a design problem with your heating system, and it keeps giving problems and eventually becomes totally broken. Or perhaps bad wiring burns out/shorts out your battery system. Maybe ‘infant mortality’ (the propensity for electronic devices to sometimes fail early in their life) strikes and destroys your charging system or some other essential element of your retreat. Maybe it is a more low tech problem. Your well proves not to be capable of sustained supply of water – sure, it tested fine for a 15 minute test, but now you’re using it, day in and day out, it runs dry. Or the reality of the power your solar cells can provide proves to be massively less than the theoretical amount they should have delivered. You can probably think of many more vulnerabilities. There are countless things that can go wrong with a property, both while it is occupied and also while it is unoccupied. Unless you’ve been using the retreat on a regular and sustained basis, you have no way of knowing if the reality of its practical ability to support you will be the same as its theoretical promises. You’ve no way of knowing if the equipment and services you’ve built into it will prove to be reliable low-maintenance and sufficient for your needs – indeed, you don’t even know for sure what your actual needs may be. Okay, now let’s assume that none of these preceding three potential problem areas are giving you any grief. Lucky you! So let’s now look at the fourth potential issue. Depending on when you arrive at your retreat, sooner or later you’re going to need to switch from eating from stored food supplies to growing your own future food needs. And when you do this, if you are doing it for the first time, you’ve a huge new Pandora’s Box of unknown uncertain issues to confront and resolve. Sure, you’ve got books galore on how to grow your own food, but have you actually ever done it, for real, before? More to the point, have you done it for several seasons in a row at your actual retreat location? The answer to this question is almost certainly no. So now – for the first time – you find yourself grappling with who knows how many problems and issues. Insects and other infestations and wildlife might attack/destroy/kill/eat all your harvest. The soil might be lacking in some sort of nutrient – or it might have too much of another type of chemical in it – do you know how to understand and correct that? You might do a great job of planting and caring for the crops, but when it comes to harvesting, you might discover that you lack the manpower to harvest the food before it spoils. Sure, you grew a perfect crop, but you only managed to harvest a quarter of it. You might discover that one part of your property has the wrong type of soil and another part has too much water (or too little water). Another part might have too little sun. And protecting your crops from wildlife and diseases will be a full-time job. All the deer you were so enchanted to see when you first bought the property – what do you think they eat? Yes, your food! Farming is something that requires more than book learning. It requires skill and experience – both in general terms and also in the specific issues and challenges posed by your particular property. It is more than likely that your first few years of cropping will be full of challenges and disappointments. If you are raising animals, that too is far from a guaranteed ‘can’t lose’ scenario. Where do the animals come from to start with? Who will care for their health? Where will their feed come from? Who will slaughter/butcher them? Where will the meat be stored? None of these issues are impossible to resolve, but they all assume a great supply of experience and know-how. If you’ve read this far, you now understand that bugging out is not as easy as it sounds, and, perhaps more importantly, moving into an empty unused retreat and relying on it instantly becoming the resource you hope it to be is something fraught with many uncertainties and possible problems. The good news is that these problems are not impossible to solve. Please now click on to the second part of this article – ‘The Three Solutions to the Four Problems of Bugging Out‘. Excellent questions. Recently my son moved (with his wife and four children) into his MIL’s house. The well that worked fine for years for two gave up the ghost after 20 days when asked to provide water for eight.